Seven human rights NGOs have sent an open letter to Kazakhstan’s Prosecutor General, calling on him to ensure that a recent case of intimidation, pressure and obstruction of the work of a lawyer in the city of Kostany is promptly, impartially, and thoroughly investigated and those responsible held accountable. The letter, which has been signed by Kazakhstan International Bureau for Human Rights and Rule of Law, International Partnership for Human Rights, the International Commission of Jurists, Nota Bene, Turkmen Initiative for Human Rights, the Helsinki Foundation for Human Rights and the Norwegian Helsinki Committee, can be read below or downloaded here. We are writing to you on behalf of a number of human rights organizations regarding a recent case of intimidation, pressure and obstruction of the work of lawyer Snezhanna Kim, a member of the Kostanay regional bar and a long-time partner of Kazakhstan International Bureau for Human Rights and Rule of Law (KIBHR). We call on you to take adequate measures within your powers in response to the reported violations of the rights of the lawyer. The incident in question took place around 10 am on 24 July 2015, when lawyer Snezhanna Kim was having a meeting with a client in detention facility no. 161/1 in the city of Kostanay, which is managed by the administration of the penitentiary system of the Kostanay region. As the lawyer and her client were discussing the defense strategy in a criminal case, an officer of the detention facility burst into the room and demanded to see the notes the lawyer had made during the discussion. The lawyer’s notebook was laying on the table, and before she had a chance to take it away, the officer of the detention facility walked up and began reading the notes in it. After the lawyer’s meeting with her client ended, the officer of the detention facility again requested the lawyer to show her notes, threatening her that she would otherwise be obstructed or prevented from visiting clients in the detention facility in future. The lawyer nevertheless refused to show her notes, with reference to the lawyer-client privilege and attempted to leave the room. However, the officer of the detention facility closed the barred iron door in front of her, thereby preventing her from leaving. The officer told the lawyer that she would not be allowed to leave until she showed her notes. This officer also called for several other officers of the detention facility to come over, which further increased the intimidating nature of the situation. After about 15 minutes, the lawyer was eventually allowed to leave the detention facility. No protocol was drawn up concerning her temporary detention. The same day as the incident in detention facility no. 161/1 took place, lawyer Snezhanna Kim filed a complaint about it with the Prosecutor of the Kostanay Region. In a response dated 27 July 2015, she was informed that the Kostanay Regional Prosecutor’s Office had found that the demands made by the officers of the detention facility with respect to the confidential information obtained by her from her client were “unfounded”. She was also informed that a note had been sent to the head of the administration of the penitentiary system of the Kostanay region, referring to the “impermissibility of violations of the law in the execution of operational activities”. There was no mentioning that her complaint had been registered in the unified national register of pre-trial investigations, as required by the Criminal Procedure Code (article 179, part 1), and no proper investigation into her complaint appeared to have been undertaken. Given the lack of effective measures by the Kostanay Regional Prosecutor’s Office to address the violations of her rights, the lawyer filed an appeal with the General Prosecutor’s Office. 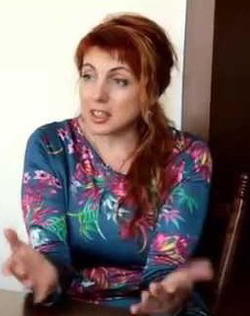 On 4 August 2015, she was informed that her complaint had been resent to the Kostanay Regional Prosecutor’s Office for a consideration of its merits. We welcome the attention of your office to this case. We urge you to take control over the investigation into the incident of 24 July 2015, ensuring that it is promptly, impartially, and thoroughly investigated and that the officers responsible for intimidating the lawyer, interfering with the lawyer’s confidential communication with her client and unlawfully depriving her of liberty are held accountable and appropriately sanctioned in accordance with applicable national legislation. We also call on you to use your powers to ensure that Snezhanna Kim and other lawyers are able to freely carry out their professional activities, including by visiting clients held in places of detention without hindrance and communicating with them based on full respect for the confidentiality of the lawyer-client relationship and without pressure of any kind. We trust that your office will take necessary measures to address the concerns outlined above and would be grateful to receive information on any further steps taken, at the following address: KIBHR, 8th Mikrorayon 4a, office 423, 050035 Almaty. [i] See point 34 of General Comment 32 of the UN Human Rights Committee: Article 14 (Right to Equality before Courts and Tribunals and to Fair Trial). [ii] See point 13 of General Comment 35 of the UN Human Rights Committee: Article 9 (Liberty and Security of Person).